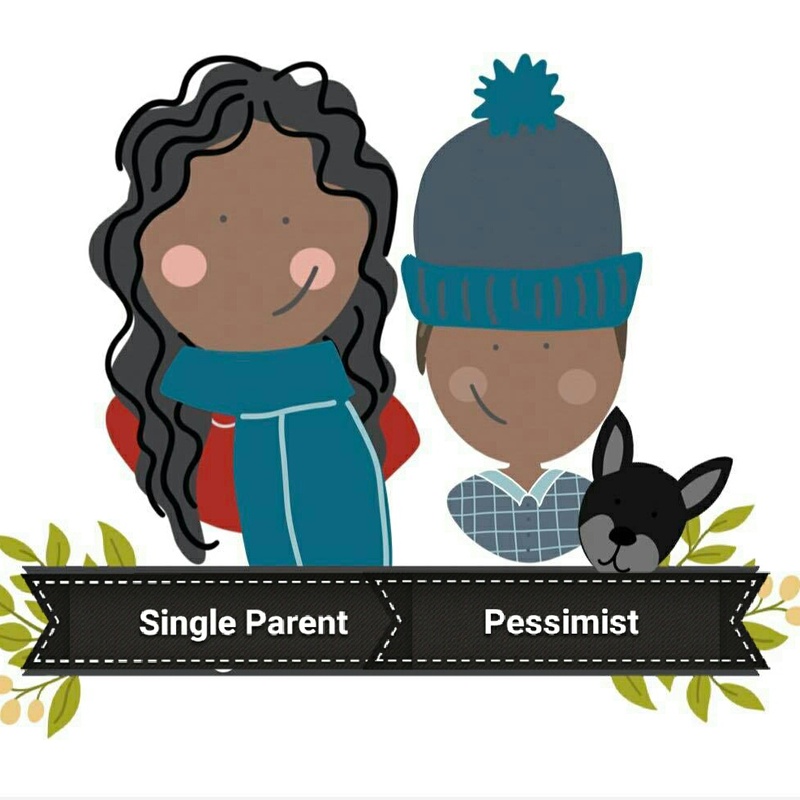 Confessions of a Single Parent Pessimist: Kids Summer Activities On A Budget: For Hot & Cold Weather! Kids Summer Activities On A Budget: For Hot & Cold Weather! Summer's fast approaching, so I wanted to try and be a bit more organised this year, especially as Chunk's now a year older and more hyper! 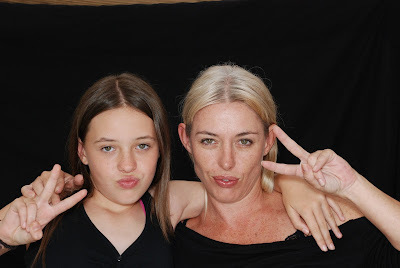 I found the summer holidays quite challenging last year, due to the sheer heat and because I cannot stand the huge crowds and swarms of older children at all the places I like to take Chunk. I know I need to start getting used to it before he goes to school, but whilst he's still a toddler, I'll take the quieter/cheaper options while I still can! 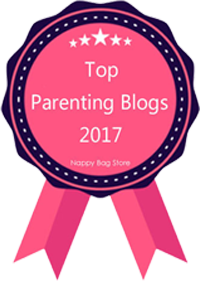 Last year I failed to plan ahead, so would panic about finding ways to entertain Chunk, and now he is even more mobile and interested in lots of things, I thought I better think of some activities for both the hot parts of summer, and our notoriously colder parts of the summer months. Sun factor's the most important thing to plan, especially as Chunk has sensitive skin due to his eczema. I also don't like using products with harmful additives in them since learning more about what they can do which I wrote about not too long ago. I managed to find additive-free shampoo, and the same people (Green People) have now made a sun lotion. The Green People Organic Children Sun Lotion is SPF 25 and is designed specifically for sensitive skin, and when Chunk tried it there was no eczema flare up. What I love most is that there is no nasty smell to it, which I find most sun lotions have, and it strangely doesn't smell of anything at all. Due to my light brown skin, I hate wearing sun lotion as it's very obvious when I wear it- all you see is a white tinge to my skin, but when I tried this out I noticed it doesn't leave any marks or tinges. So it won't just be Chunk using this cream this summer! So with the lotion sorted, my plan is to spend lots of time outside doing what Chunk loves the most: Bug hunting and playing with water. I bought Chunk and Curly a magnifying glass each from the Pound Shop recently, and they love looking in Nanny's garden for worms, spiders and ladybirds. A lot of the time we find mainly ants and woodlice, but they still enjoy trying to catch them and fling them my way (ending in me screaming like a baby and doing some mummy flapping). Now that Nanny has moved less than a minute from the beach, we are going to be going there too with our magnifying glasses and buckets, so we can go crabbing and hunt for algae and anything else that rocks up to shore. I'm also planning on getting a little paddling pool to help keep them cool, and last year I bought a really cool little frog tent that has a UV shade on the top. Inside that, I can put cushions, so they can sit in there and read or do some colouring. To keep the boys hydrated, I plan to make them refreshing and healthy slush puppies with the Chill Factor Slushy Maker I've recently been given. It's really easy to do (which is vital for Ms Impractical here) because all you do is bung the cup in the freezer for a few hours, and once it's frozen you then add the juice you want to use, squeeze the cup for one minute and hey presto! I tried it with some grape juice the other day, and Chunk loved it! 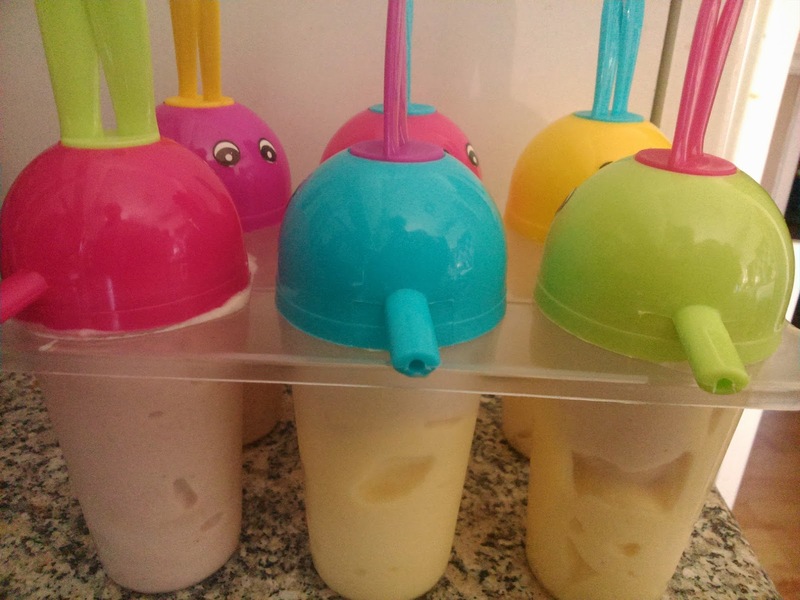 I plan to use squashes, blended fruit and even some milkshake recipes as it's going to be a fun way to keep the boys hydrated. I may even treat myself to the odd strawberry daiquiri when Chunk's in bed! 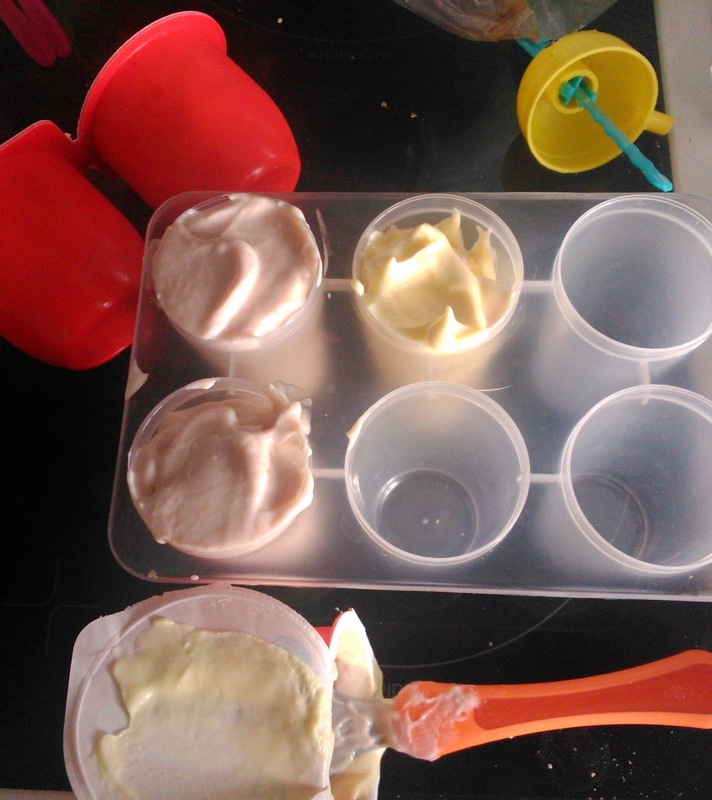 I've also bought some lolly moulds and have been practicing using yoghurts and fruit smoothies. Some yoghurts are lovely, but others are too strong, so watering them down with milk can be helpful. To look more exciting, I put two different flavoured yoghurts in each section, and it also meant halfway through the lolly they got a new flavour to enjoy. When we have our usual 'British Summer' days (aka cold and rainy) or there are those heatwaves where you are so hot you sit around in your underwear and get stuck to your leather sofa (it hurts...a lot) then keeping the little one occupied can be quite difficult. The Weekend Box Club is a very clever company I recently came across, and they kindly sent me one of their boxes to see how they work. 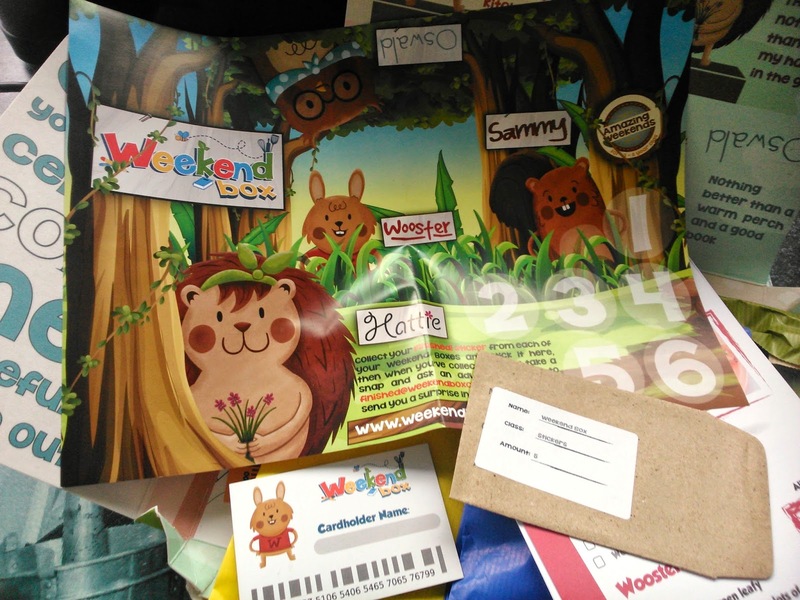 Your child gets sent a box that contains 4 activities: something to make, cook, read/write and something green (e.g. healthy/recycled). 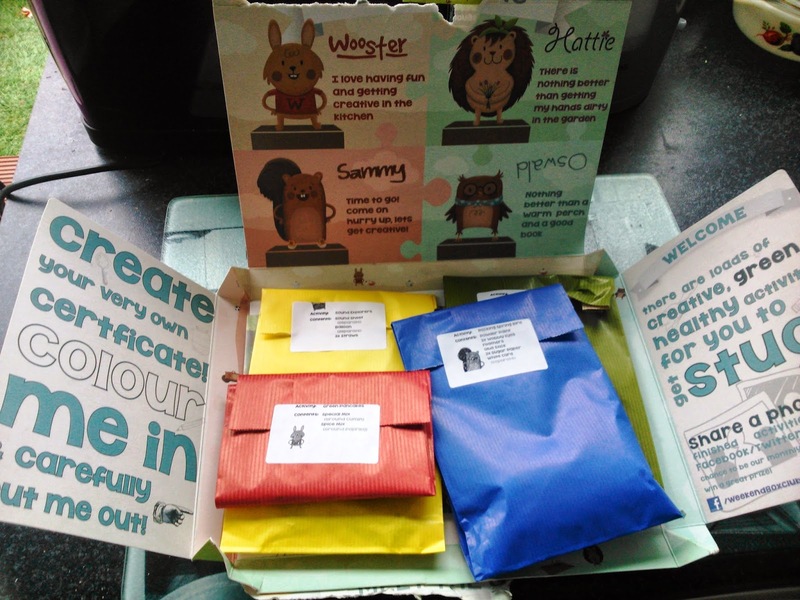 The activities come in a gorgeous little box, and they each come in little bags which helps ensure you don't mix up all of the instructions and equipment. 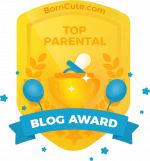 There's even a cute little certificate you fill out once they have completed all four activities, and stickers that get put onto a reward card, which is then used to get a surprise added to the next box you order. We got spinach pancakes, which I plan to make for a lunch this week, a fun 'guess the sounds' game which includes balloons and an animal card to fill in, a chick to make (doing this for easter) and a pot of gold game. Chunk enjoyed the pot of gold game, because he loved the little coins and pipe cleaners. I put the pipe cleaners into a cup (like a rainbow) and we had to throw the coins into the cup. Chunk didn't get why he had to sit far back from the cup, so preferred placing the coins into the cup, but he enjoyed watching me fail at throwing them into it. This game kept us entertained for quite a while, and then we looked at things we could make with the pipe cleaners (worms and snakes), before Chunk wanted to put the coins in his toy till. So that was quite a good activity, and I'm looking forward to trying the others out on the next indoor day. I love the idea behind these boxes, and they only cost £7.50 each (with free delivery). And for my lucky readers, you can get your first box FREE by using the promo code CLAIRE47 on their website. Another great little game I've been sent recently is a floor puzzle, aimed at children from the age of 2. Chunk has been playing with puzzles for a while now (the ones with the little gripper handles) but we have never attempted the large floor puzzles, so I didn't know what to expect. 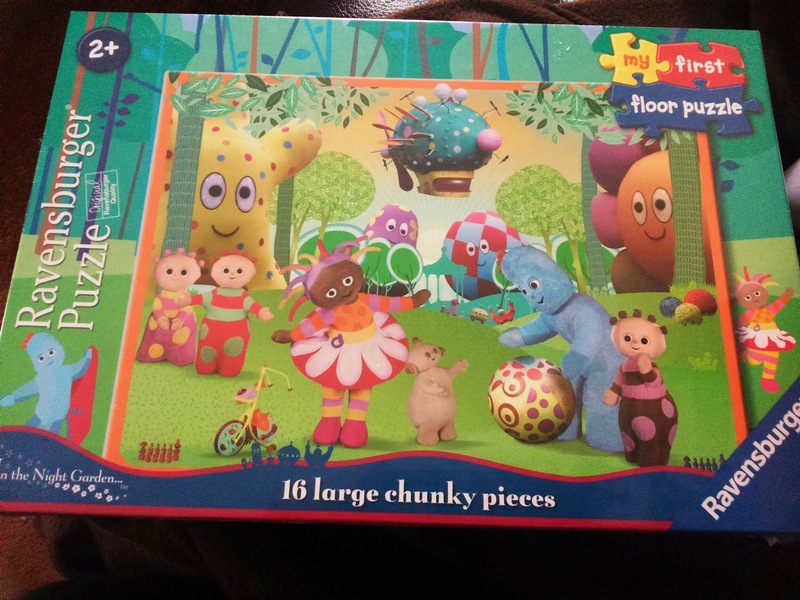 We got the In The Night Garden My First Floor Puzzle and Chunk was very excited that it featured characters from one of his favourite programmes (Makka Pakka rules!). At first he didn't know what he was supposed to do, and spent time just throwing the pieces around, until I found a way to engage him. I started making the puzzle, and pointed out things I needed him to find (e.g. "Can you find Makka Pakka's tummy?"). He loved looking for the different body parts of each character, and pretty quickly he began to slot the pieces together himself. Once he had put the final piece in, he looked so proud of himself and I gave him a big clap! We then looked at the picture and he hunted for each character that I would talk about. We then took it apart and did it again. Since then, it has become a toy that he wants to do at least three times a day, so I definitely need to look at getting some other floor puzzles to give him a bit more variety. Thankfully the puzzles seem to be quite a bargain, with this one being on Amazon at the moment for around £6 including delivery. 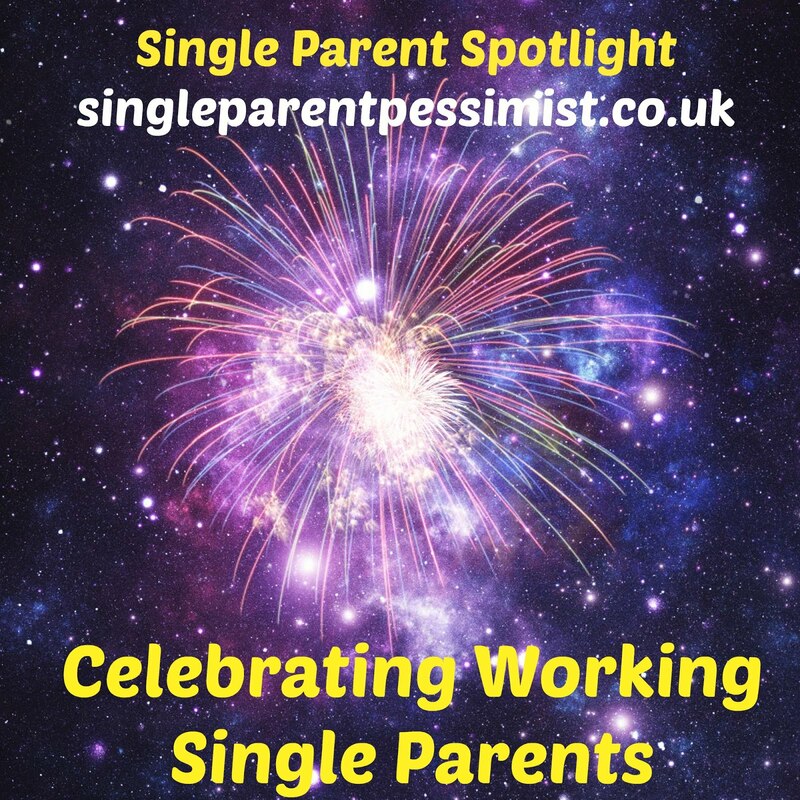 The fact that it has helped him to improve his observation and matching skills, and it's taught him how to slot puzzle pieces together is enough to know that it was worth getting. It's also amazing how long he can stay engaged with doing this activity, so I'm very pleased! Chunk is also starting to really enjoy painting (especially finger painting) and colouring, so I have bought lots of coloured paper, colouring books and sponges to help with some indoor activities too. 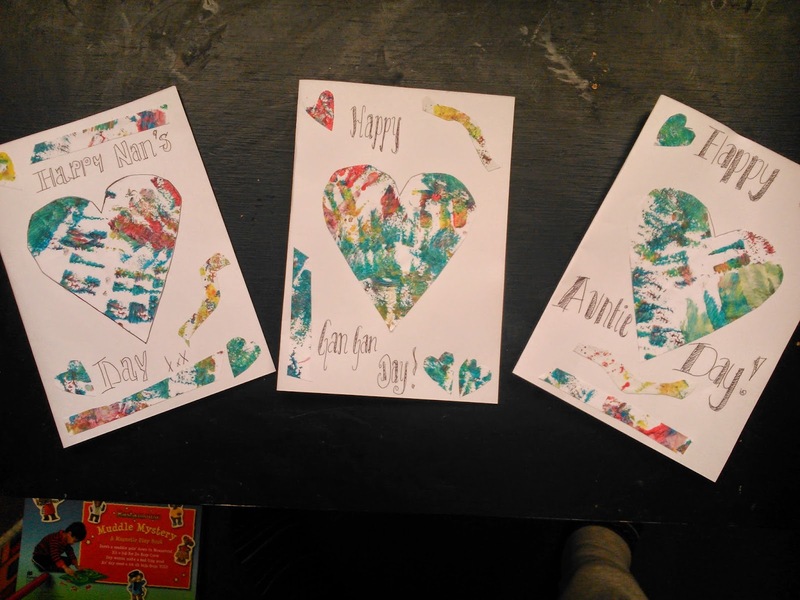 He recently did some paintings which I then turned into Mother's Day cards and I think they look great! We are going to do this for people's birthdays too, as I've always loved getting handmade cards as they mean a lot more to me than store-bought ones. What fun (but cheap) activities have you got planned this summer? Feel free to comment below to give me some more ideas! For the purpose of this post, I was given the sun lotion, slushy maker, weekend box and floor puzzle to review. No payment was received for this post, and all opinions are honest and my own. Thanks for coming over and joining in with Country Kids. Wow, what a whole host of fun things to do! I need some more ice lolly moulds too, love them! I think you're spot on, the key to surviving the Summer school is having a host of ideas/activities planned and written down! Some really good ideas for fun on a budget here. Green People products are great. It's the white stuff (zinc oxide?) which dries the skin out and makes eczema worse, so if it isn't white and opaque having that missing is probably why it didn't flare his eczema. I will look out for it this summer! The slushy maker looks very cool. I've always wondered how well they work. Lots of good ideas. The cards look great. we got one of those slushy makers last year to test, they're great aren't they?! Some great ideas. 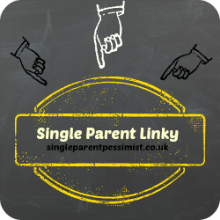 I'm now off to hunt for a magnifying glass from the pound shop - think that is such a simple, but interesting idea for little ones. That slushy maker is intriguing! Thanks for sharing this at Booknificent Thursday! Hope to see you again soon to hear how books are impacting your family's lives! I really like the idea of the frozen yogurts. I need to get some more lolly moulds! We love our slushy maker! I love your post, brilliant. Very simple but effective ideas and I love the low cost part to them. I totally agree that you don't have to spend the earth to keep children happy. Will be using your frozen yogurts idea too. Great ideas lovely! 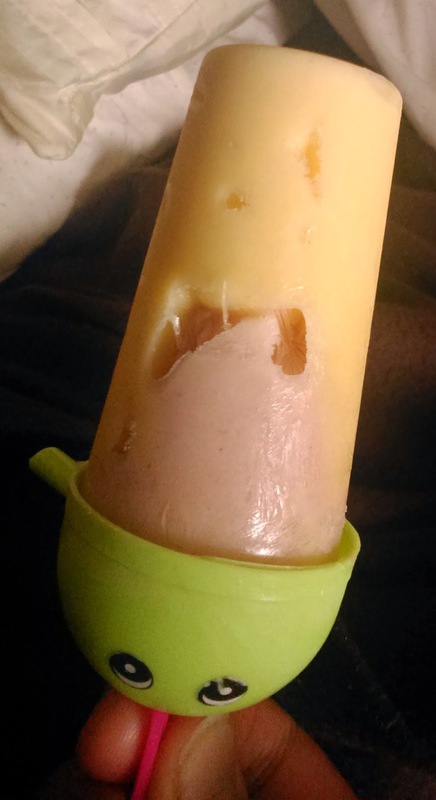 Wow the ice lolly makers brought back memories of my childhood!! I'd love to try one of these slushy makers! I love how he has taken to the puzzle, and got the hang of it so quickly. I might have to get one of those, Ethan is really into In The Night Garden again at the minute. 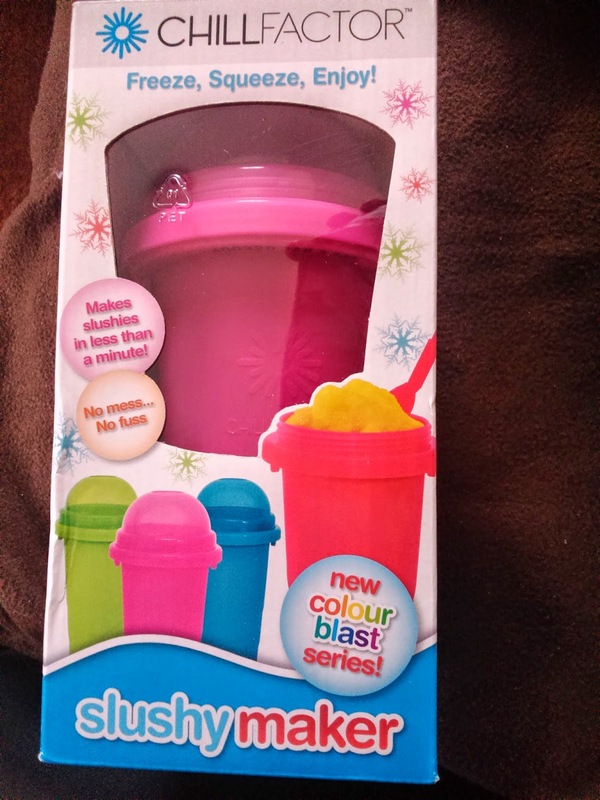 We got to review the slushie maker last summer, I loved it. Must get it ready for this summer! Not long to go now so printed this off!